MONTREAL – Montreal Canadiens general manager Marc Bergevin announced Wednesday that the team has agreed to terms on a one-year, two-way contract (2015-16) with free agent defenseman Mark Barberio. 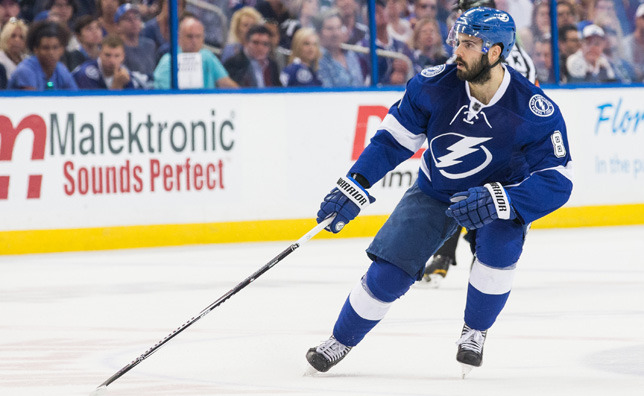 Barberio, 25, played 52 games with the Tampa Bay Lightning in 2014-15, recording seven points (1 goal, 6 assists). The 6-foot-1, 199-pound defenseman served 34 penalty minutes with an average of 16:46 time on ice per game. Since making his professional debut with Tampa Bay in 2012-13, Barberio has played 103 regular season games, contributing 17 points (6 goals, 11 assists). He scored one goal on the powerplay, with a plus-4 differential and 44 penalty minutes. In three seasons with Norfolk and Syracuse (AHL), Barberio harvested 134 points (30 goals, 104 assists) in 215 games. He won the Calder Cup in 2012 with Norfolk. A product of the QMJHL’s Cape Breton Screaming Eagles and Moncton Wildcats, Barberio collected 168 points (46 goals, 122 assists) in 261 games in the juniors. He took part in the 2010 Memorial Cup tournament with Moncton, totaling four penalty minutes in three games. A native of Montreal, Barberio was selected in the sixth round, 152nd overall by Tampa Bay at the 2008 NHL Entry Draft.